Here’s how the two flagship camera smartphones compare. Huawei unveiled the Mate 20-series at an event in London last month, and now, the company has brought the smartphone to the Indian shores. Out of the three devices – Mate 20, Mate 20 X and Mate 20 Pro, the company will be selling the “Pro” variant in India. The company also showcased the Porsche Design Mate 20 RS, which is the most premium offering from the brand. Huawei has been marketing its smartphones as camera-centric ones, and the Mate 20 Pro is no different. The highlighting feature of the Mate 20 Pro is its triple rear cameras, among other additions. And while Huawei, Samsung, Apple and other OEMs need two or three cameras, Google is offering the best camera experience with just one camera on the Pixel 3 XL. So, we pitted both flagship smartphones based on their price, specifications and features, and here’s how they fare. The Mate 20 Pro will set you back by Rs 69,990, and it will be sold exclusively via Amazon India starting December 4. As an introductory early bird offer, the company is also offering the Sennheiser PCX550 headset worth Rs 29,990 for just Rs 2,000, in limited quantities. The Pixel 3 XL, on the other hand, is priced at Rs 83,000 for the 64GB storage variant, and Rs 92,000 for the 128GB storage model. It is available to purchase exclusively via Flipkart. Both the Huawei Mate 20 Pro and Google Pixel 3 XL feature front and back glass design. However, in case of the Pixel 3 XL, you get dual tone finish at the back. The glass back also enables wireless charging on both smartphones. The Mate 20 Pro also gets reverse wireless charging, allowing you to use it to charge another wireless charging capable smartphone. Now, coming to display, the Mate 20 Pro comes with a 6.39-inch QHD+ AMOLED panel with resolution of 1440×3120 pixels, and 19.5:9 aspect ratio. The Pixel 3 XL, on the other hand, comes with a 6.3-inch QHD+ P-OLED display with a resolution of 1440×2960 pixels and 18.5:9 aspect ratio. Under the hood, the Mate 20 Pro is powered by a Kirin 980 7nm octa-core chipset paired with 6GB of RAM and 128GB storage. In other markets, the smartphone is also available with 8GB RAM and 256GB storage. The Pixel 3 XL is powered by a Qualcomm Snapdragon 845 octa-core SoC, paired with 4GB RAM and 64GB/128GB storage. The Mate 20 Pro also gets expandable storage option, but with a proprietary nano-memory card. Now, let’s talk about the USP of both phones, the cameras. Starting with the Mate 20 Pro, it comes with three cameras – one is a high-resolution 40-megapixel sensor with f/1.8 aperture and wide-angle lens, second is a 20-megapixel sensor with ultra-wide-angle lens with f/2.2 aperture, and the last is an 8-megapixel sensor with telephoto lens and f/2.4 aperture. There is dual LED, dual tone flash, as well as PDAF. The smartphone supports 4K video recording at 30fps, and full HD recording at 60fps. There is also support for ultra-slow motion at 960fps. Up front, you get a 24-megapixel selfie snapper with 3D depth sensor for face unlock. 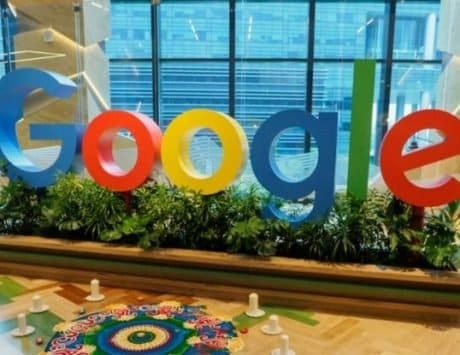 Now, while others are putting as many as 4 cameras at the back, Google is sticking to a one 12-megapixel sensor at the back with f/1.8 aperture. There is dual tone LED flash and video recording support for 4K @ 30fps, and slow-motion at 240fps. Up front, there is a dual camera setup – each featuring 8-megapixel sensors. To keep things ticking, the Mate 20 Pro is armed with a 4,200mAh battery, whereas the Pixel 3 XL is armed with a 3,430mAh battery, both featuring fast charging and wireless charging tech. The Mate 20 Pro comes with 40W fast charging that can top up half the battery in about 30 minutes. In the software department, both smartphones run on Android Pie OS, and while Pixel comes with stock interface, Huawei smartphone comes with EMUI skin on top. Lastly, connectivity wise, the both smartphones come with dual SIM card support, Bluetooth 5, GPS and USB Type-C port for charging and data transfer.